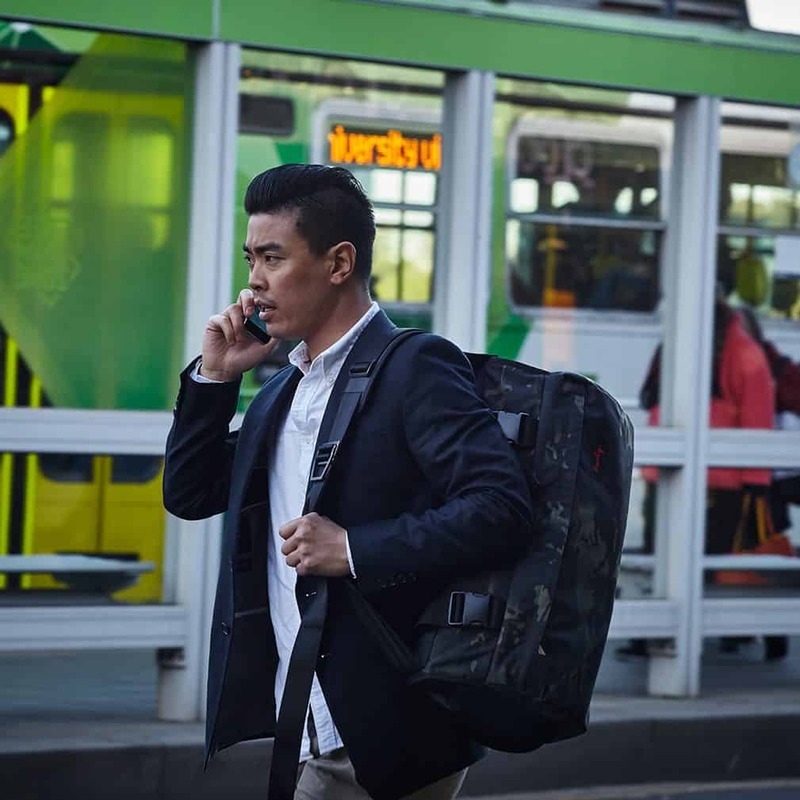 The CoPilot Messenger is a durable and user friendly multi-purpose suit and garment bag, made from 500D MULTICAM® Black Cordura Nylon (MULTICAM® fabric is made in the USA). 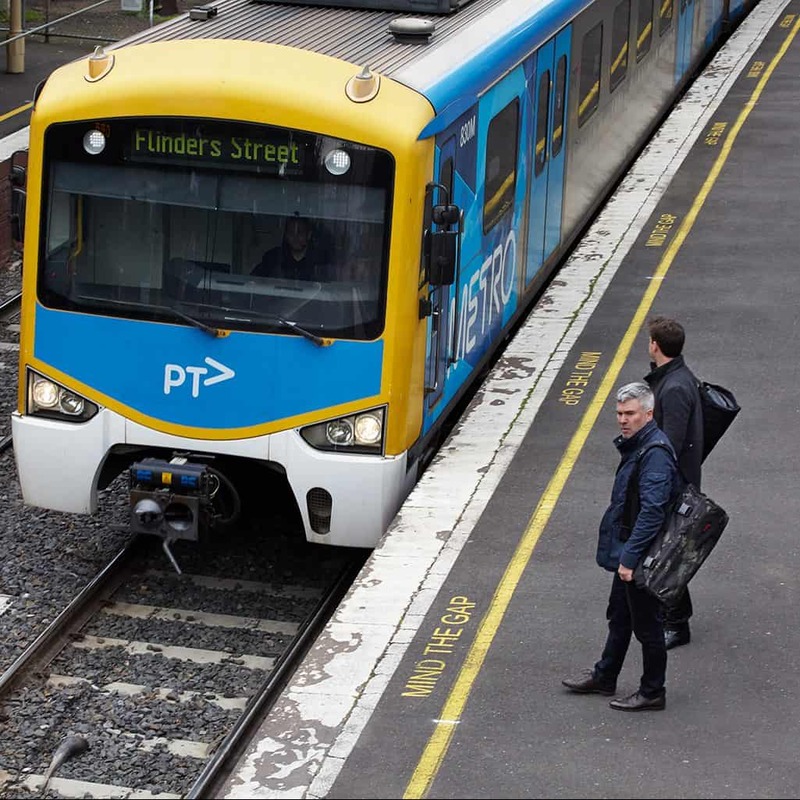 Based on our popular Commuter Range, it has been optimised for aeroplane travel. It has a larger Inner Tube allowing you to maximize luggage space on a weekend away or a 3-4 day business trip. 2 x pair of shoes, gym gear, jeans/chinos, T-shirts, jumper, towel, toiletries, phone and charger, wallet, keys. What’s the difference between the CoPilot Messenger and Wingman Messenger: The main difference between the CoPilot and Wingman is capacity. 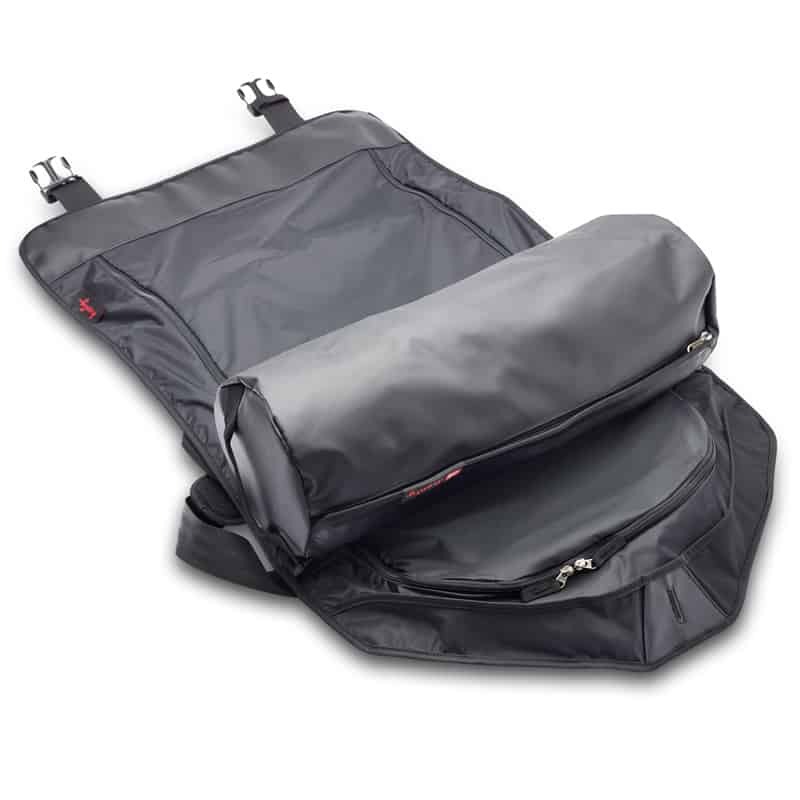 The CoPilot comes with a 20L Inner Tube compared to the 14L Inner Tube for the Wingman Messenger. 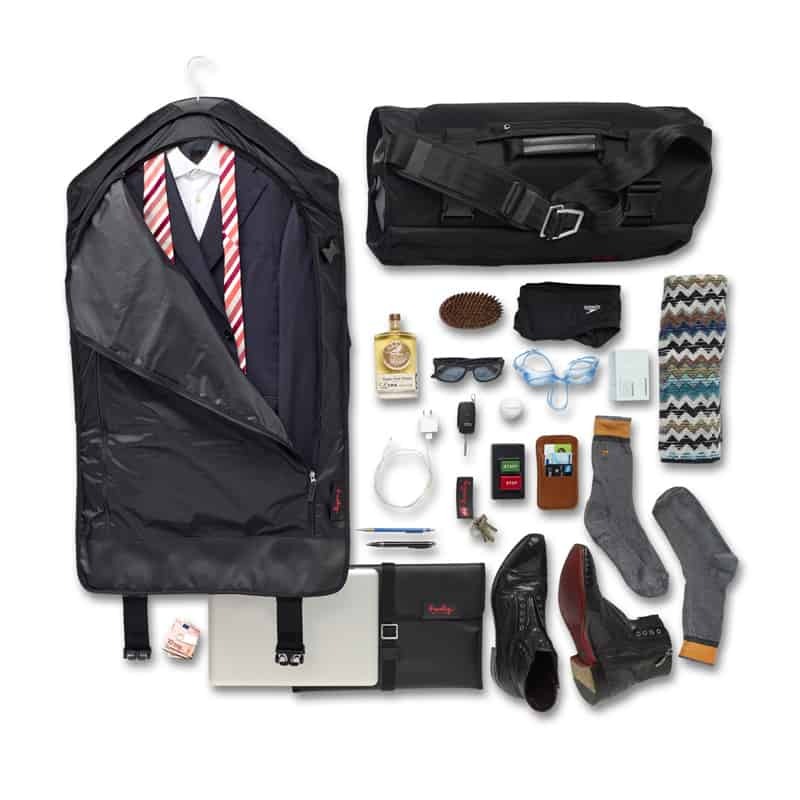 The garment compartment of the CoPilot will take two suits, shirts and two pairs of shoes (plus other items) compared to the Wingman Messenger which is designed to take one suit, shirts and one pair of shoes (plus other items). 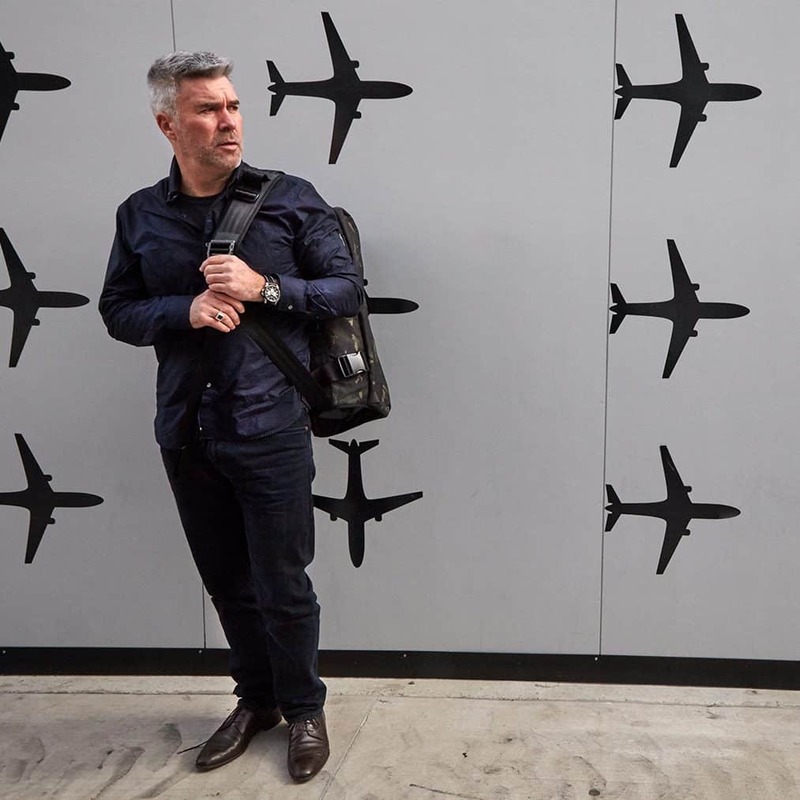 The CoPilot uses the same patented rolling technology as the Wingman, but we’ve upgraded the materials used, added an additional external pocket and a leather haul handle to the CoPilot – so it’s better for carrying on an aircraft and other tight spaces when traveling. Will my laptop fit? 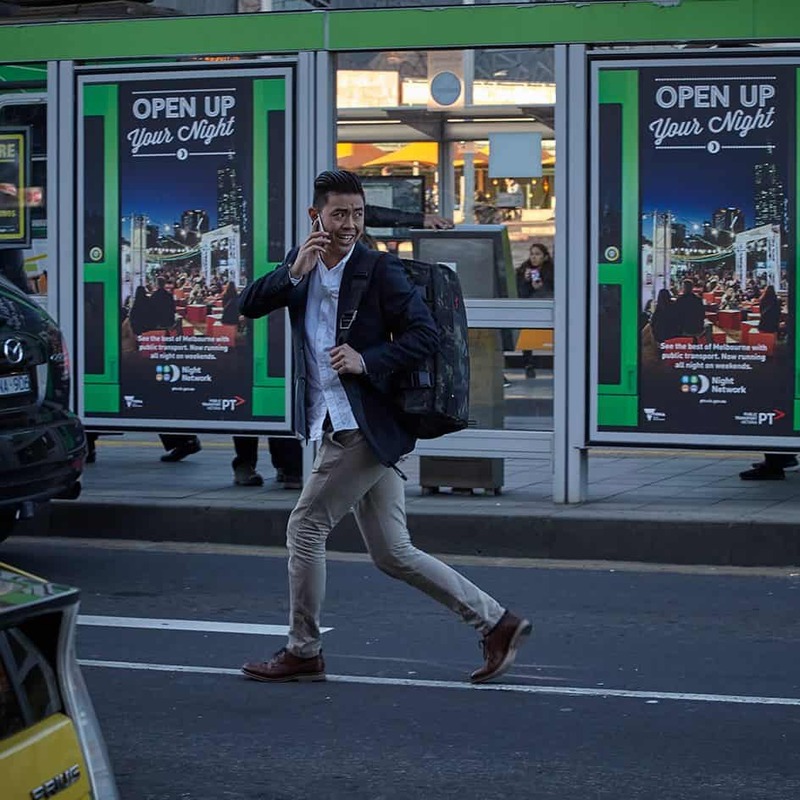 The CoPilot Messenger has a removable padded laptop pouch for a 13″ laptop or equivalent, 32.5×22.7×2.4cm (12.78×8.94×0.95 inches). Is the CoPilot suitable for riding? The CoPilot Messenger is suitable for riding and comes with a bright orange rain cover for weather proofing. We recommend riding with the Wingman/CoPilot Backpack when riding for more than 30 minutes as the shoulder straps provide additional stability. Is the CoPilot within airline carry-on dimensions: Yes, we’ve designed the CoPilot to be within airline carry-on (cabin) luggage specifications. 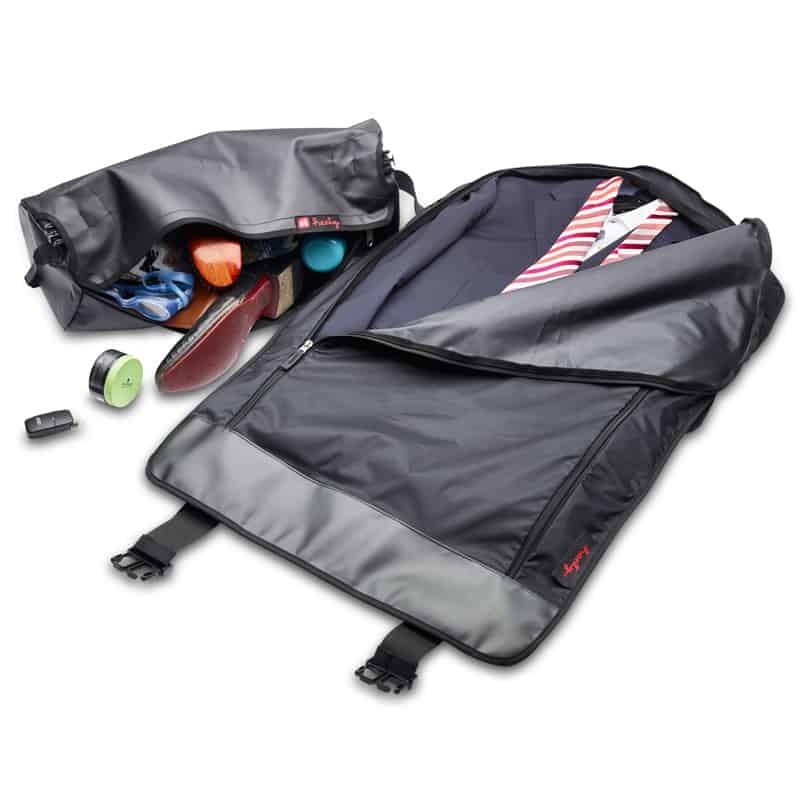 Recommended for: We recommend the CoPilot Messenger for anyone who travels and needs to transport professional clothing. The CoPilot Messenger is a good alternative for those who need extra space for their commute, or travel more frequently than they ride.